Made collaboratively with Clare Waddle and Rebecca Wilson. 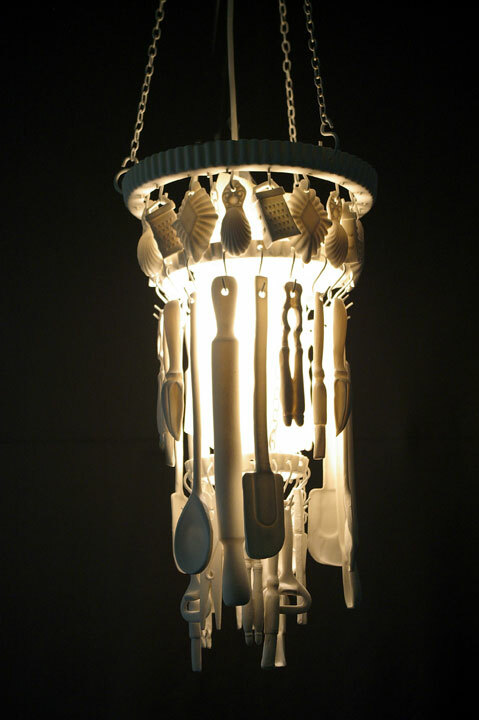 A giant chandelier of chore related objects such as kitchen implements, and cleaning and gardening utensils, cast in low relief, in translucent bone china. 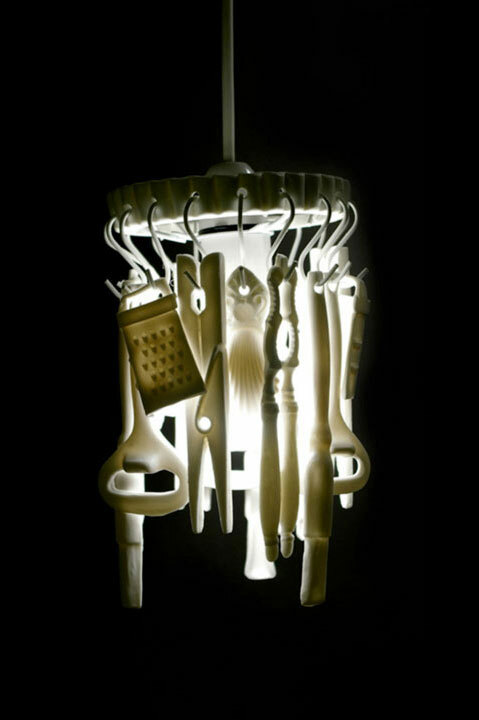 The piece glamorises and makes light of the domestic routine, and its implements of monotony. The domestic accoutrements dangle, tinkling in the breeze, temporarily redundant, allowing for a break from the monotonous grind of housework to enjoy a moment’s light relief under the glamorous chandelier. 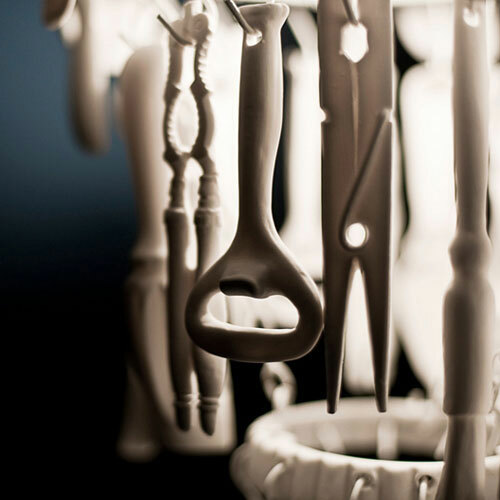 This piece was used in Craft Scotland’s ‘The C Word’ advertisement (below), an international cinema and print campaign, which aimed to challenge the public perception of craft. It was played in cinemas around the UK and on STV. Air Creative and Pearl & Dean were also partners to the project. These chandeliers were also selected to be shown in the Homes & Interiors Scotland Exhibition, 2009, and in Man Shops Globe, on America’s Sundance Channel. and ‘A Teeny Weeny Wee Bit of Light Relief’.